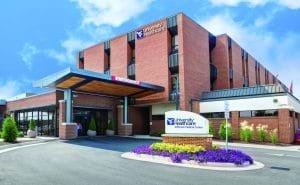 Jefferson Medical Center is a 25 bed critical access hospital located in Ranson, WV and is a member of WVUMedicine. As the only hospital in the county JMC provides a wide range of clinical services in an intimate Academic Medical Center environment. HFFM is the biggest primary care and multi-specialty clinic in Jefferson County providing services in over 30,000 patient visits every year. HFFM is home to a large medical residency program that offers many collaboration and teaching opportunities for pharmacy residents. 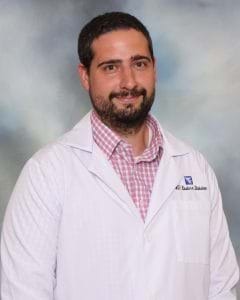 Jonathan Kline is the Director of Pharmacy at Jefferson Medical Center in Ranson, WV where he also serves as the PGY-1 Residency Program Director. He is a graduate of the Ohio Northern University College of Pharmacy and completed a PGY-1 at WVU Medicine Ruby Memorial Hospital. Dr. Kline previously worked for the WVU Schools of Pharmacy and Medicine as a Clinical Associate Professor with a service in inpatient and ambulatory Family Medicine. He maintains certifications as a Diabetes Educator, Anticoagulation Provider, and Pharmacotherapy Specialist. Andrea Manteuffel (Bernard J. Dunn School of Pharmacy, Shenandoah University Class of 2016) and Seth Lilly (West Virginia University School of Pharmacy, Class of 2016).